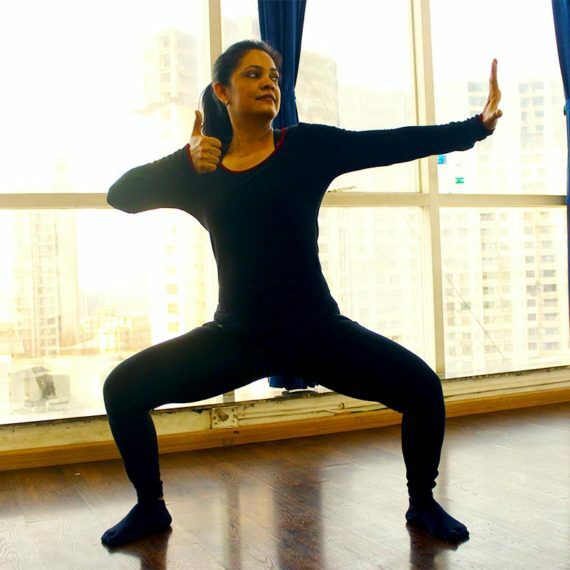 Mrinalinee is a QCI qualified yoga instructor teaching our clients in the entire Versova stretch from Seven Bungalows to Yari Road. Her clients include housewives trying to shed a few inches to celebrities and actors who want to train under an able and experienced yoga instructor. Mrinalinee believes that a yoga teacher must create a space for learners to explore their own limits with their mind and bodies and also create a safe and interesting way for people to improve their health and well being. Often in the midst of our hectic schedules and busy lives, we tend to forget to be aware of our inner mechanism. 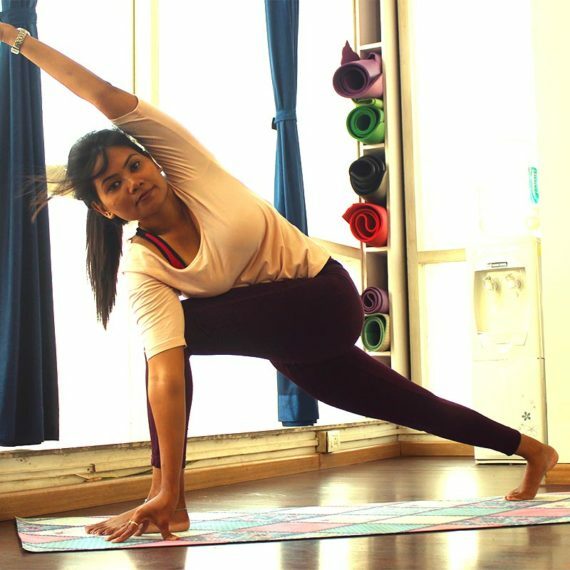 But with the help of regular practice of Hatha Yoga and a mix of stretching, relaxation and meditation, Mrinalinee believes that she is helping bring about a holistic change in the lives of her students. Mrinalinee has done her 200 hrs. course in Yoga Teacher Training from Kaivalyadhama, Lonavala. She has also done the Yoga & Naturopathy, Unani, Siddha and Homeopathy Course certified by Ayush (Government of India). What is Mrinalinee's teaching philosophy? Mrinalinee believes that, “Self-awareness is the most important aspect of Yoga. Each posture must be executed with full awareness. Being conscious of one’s prana and of one’s breathing and thoughts and movements are quintessential to the practice of Yoga. Mrinalinee encourages her students to practice Yoga both on and off the mat as this helps one to achieve a balance, and helps to align actions & thought.